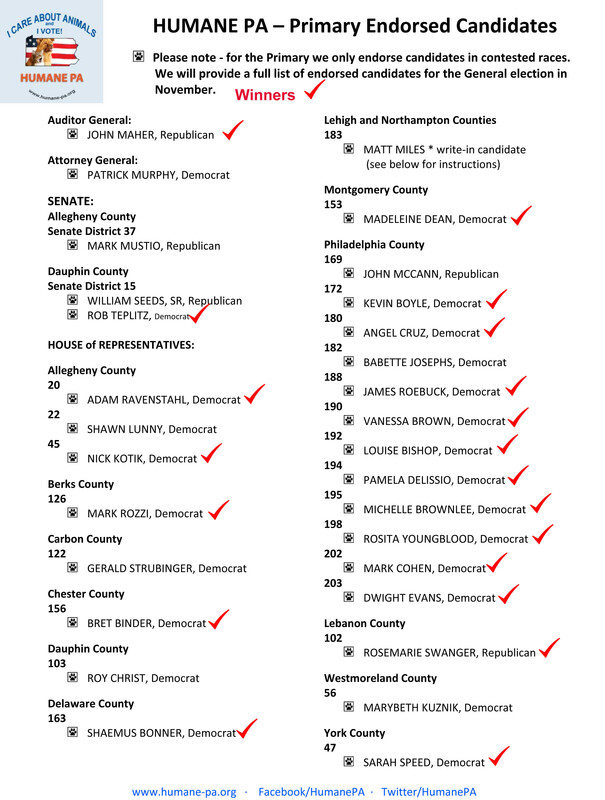 You are here: Home » Congratulations to our Humane PA Endorsed Candidates! 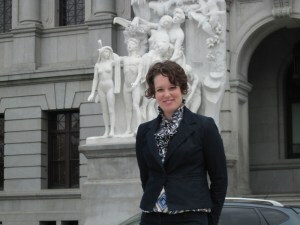 Congratulations to our Humane PA Endorsed Candidates! 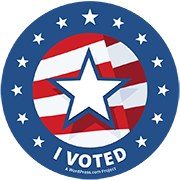 Humane voters took to the polls and helped deliver wins for 20 of our Humane PA Endorsed Candidates in Tuesday’s Primary election. Congratulations to all of our winners and a huge thank you to all of our members for voting for them! We who care about the animal bills moving, or not moving, in the legislature cannot complain if we don’t vote. By voting we are giving a animals a voice in Harrisburg, so thank you all for speaking up loudly with your votes and getting our humane candidates on the ballot in November. A special thank you to all of the numerous volunteers who helped our candidates by working the polls, phone banking and door knocking. We could not have had so many successful wins without your tireless efforts. You are truly make a difference for animals in Pennsylvania by not only raising awareness, but building a base of humane voters who will make PA a more humane state for animals.